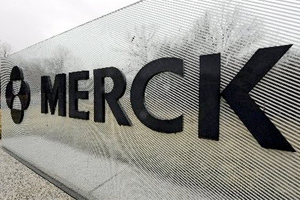 Merck & Co has scored its first regulatory approval for omarigliptin, a DPP-4 inhibitor for diabetes that need only be dosed once a week. Japan's Pharmaceuticals and Medical Devices Agency (PMDA) has approved the drug as Marizev for the treatment of adults with type 2 diabetes, marking the first time that it has been registered in any country around the world. Marizev cannot claim to be the first weekly DPP-4 inhibitor however; that distinction goes to Takeda, which bagged approval for rival drug Zafatek (trelagliptin succinate) in March. The new product has been cleared in two doses - 25mg and 12.5mg tablets -on the back of phase III trials that around the world have involved around 8,000 patients and showed that the drug is as effective at controlling blood glucose as daily DPP-4 inhibitors. That includes Merck's Januvia (sitagliptin), which is heading the DPP-4 inhibitor market with sales of almost $4bn last year. "More than 6m adults in Japan have type 2 diabetes1 and many still struggle to control their blood sugar levels,” said Tony Alvarez, president of Merck's MSD Japan unit. "The approval of Marizev … offers an important option for people in Japan to manage their type 2 diabetes, particularly for those who prefer once-weekly dosing," he added. The new once-weekly drugs are intended to reduce the burden of taking pills by diabetics and improve compliance. Not all are convinced of the benefit of this approach however, particularly as most patients taking DPP-4 inhibitors also take metformin. As metformin must be dosed every day, some clinicians argue that it is easier for patients to keep track of dosing the two drugs side by side. Meanwhile, the diabetes market is becoming increasingly crowded, with the DPP-4 inhibitor class facing a strong challenge from other new drugs such as the SGLT2 inhibitors. The recently-published data from the EMPA-REG OUTCOME trial of Eli Lilly and Boehringer Ingelheim's leading SGLT2 inhibitor Jardiance (empagliflozin) showing a reduction in all-cause mortality is expected to boost take-up of the latter class, particularly as Januvia failed to show such a benefit in the TECOS trial.